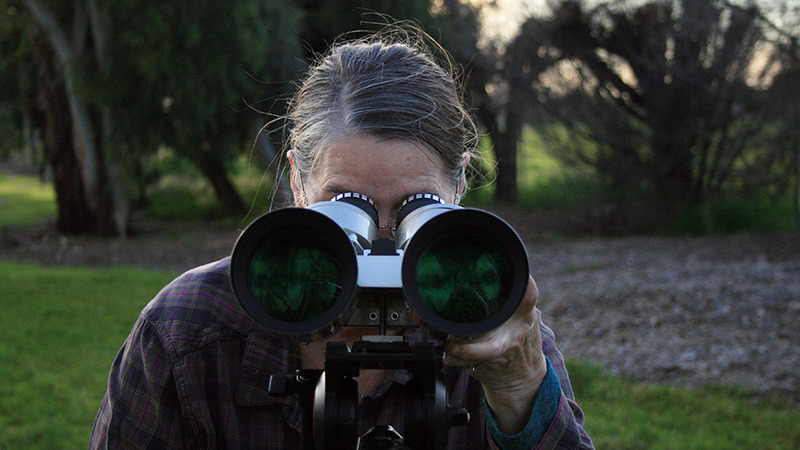 We're looking for astronomers like you! The team, led by the SETI Institute, is producing new space science badges, online Girl Scout volunteer materials, and new astronomy experiences for every level of Girl Scouts from Daisies in kindergarten through Ambassadors (Seniors in high school). What does this mean for you, our amateur astronomers? It means Girl Scouts will be contacting you! Girl Scouts will be showing up at your events, asking for your assistance with star parties, and may end up asking for help with starting their own clubs! See the Girls Scouts Resources for Amateur Astronomers that has lots of materials to support your outreach. There is even an opportunity to partner more directly with Girl Scout Troops and train together at Goddard Space Flight center. Ten teams are selected each year to attend a week-long workshop at NASA and return to their communities to establish Girl Scout Astronomy Clubs, and to share their new understanding of space science and technology. 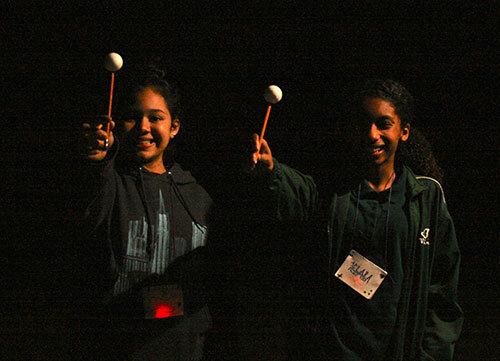 Two Girl Scouts excitedly exploring moon phases. 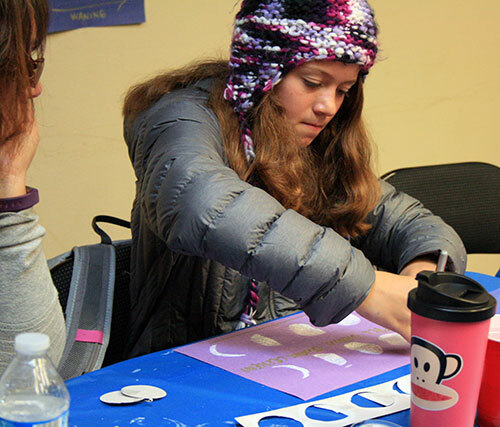 To support amateur astronomers with the latest research in girl-centered education, the ASP is offering training workshops in effective outreach for Girl Scouts and girls in general. If you are interested in having a workshop for your club, contact Theresa Summer at tsummer@astrosociety.org. We will be posting resources on this page, such as webinars, links and activities for encouraging girls with positive astronomy experiences. Check back often for new information. And welcome to this exciting journey! ASP is part of a team led by the SETI Institute that includes ASP, Girl Scouts of Northern California, Girl Scouts of the USA, University of Arizona, and ARIES Scientific. The material contained in this announcement is based upon work supported by NASA under grant award No. NNX16AB90A. Any opinions, findings, and conclusions or recommendations expressed in this material are those of the authors and do not necessarily reflect the views of the National Aeronautics and Space Administration.